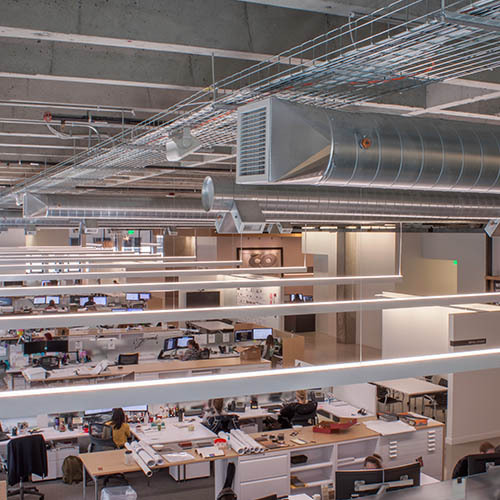 MG2 Architecture, one of the largest architecture firms in the state, moved their headquarters from Bellevue to Seattle. For MG2’s new office, Auburn was responsible for the complete install of a new LG VRF System in a 60,000 SF shell and core building. The system includes 150 tons of cooling and heating, with associated low-pressure ductwork and control system.